Offering the full range of materials and processes, FGS Composites can support specific requirements for appearance, aerodynamics, durability and weight. Our involvement in other demanding industries augments the value we bring to heavy vehicle material breakthroughs such as advanced fiber reinforcement and alternate resin technologies that help reduce weight. 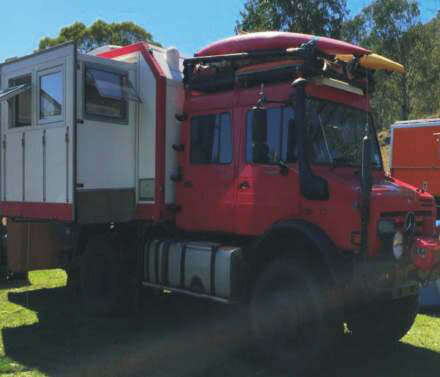 Unimog Expedition – Customised vehicle auxiliaries; insulated cabin construction, body and cab modifications. 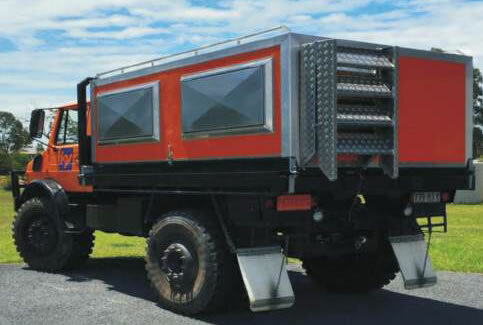 FGS Composites – CAD designed modification plans, custom built living quarters, body and cab modifications, Mercedes Unimog customisation specialist. FGS Composites is resourced to meet your needs in the areas of quality assurance, JIT delivery and project management. Our design team works closely with customers to achieve product designs that are fully optimised for manufacturability. Rigorous programme management during design, tool building, initial part approval and production launch ensures complete synchronisation with your delivery needs. 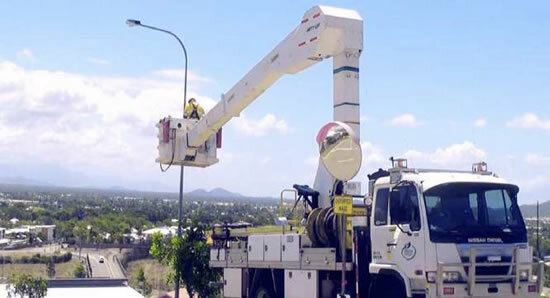 Ergon Energy – Elevating work platform maintenance and repairs.